It's officially my birthday week! Which means, I've got green on the brain [after all, St. Patrick's Day *is* this Thursday]. This green obsession, paired with a new weekly schedule, translates to adding some different items to the all things * jane Etsy shop. First up is the item at left, one of the delayed products of some inspiration found on Newbury Street in Boston. 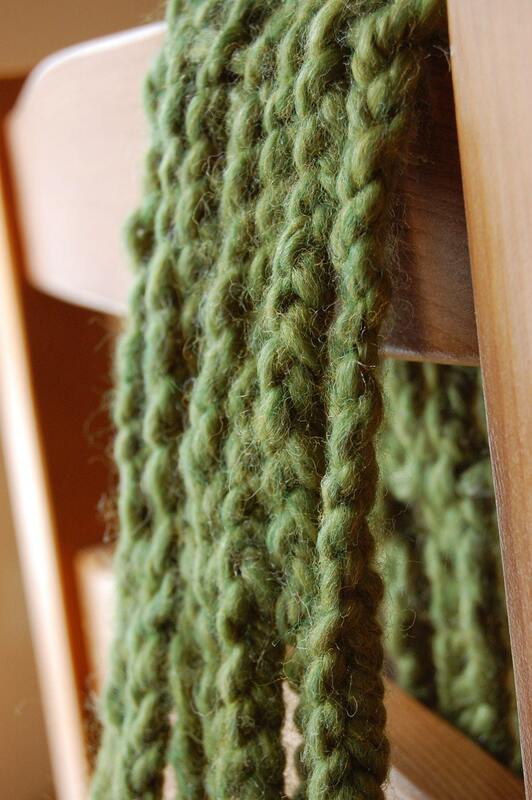 It is a scarf that is braided rather than knit; the character is completely different than your typical neckwear. Also new to the shop (with more to come) is a pair of green earrings. 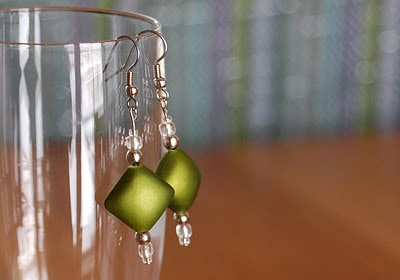 I love the main bead: it has a matte finish that feels velvety to the touch. Some day there will be a necklace to match, but for now, the shop that sells travel earring holders will also have some earrings for you to wear on your trips! Love the Earrings Lisa! I didn't know you beaded too! Have a great Birthday! Pretty earrings! Green and blue are my favorite colors, even when it's not St. Patrick's day. Also- thanks for the reminder! Totally forgot that was tomorrow! @Design Girl: I like to create in almost any way. Though beading was definitely one of my first loves!